Browsing articles in "Blog / English"
If you’re planning a visit to Bulgaria you’ll obviously need some kind of local tranport after your plane (or train) arrives. No matter which Bulgarian city you intend to visit I advise you to use taxi as your preferred way of transportation rather than catching some kind of public transport. 3 main reasons: it’s comfortable, fast and cheap. How to choose the right taxi company? As your assistance my web agency Stenik has developed nice and free mobile application called “Taxi Bulgaria” which offers you a quick access to a list with taxi companies in the most known cities, ski and sea resorts in Bulgaria, including rates and phone numbers for direct dial. 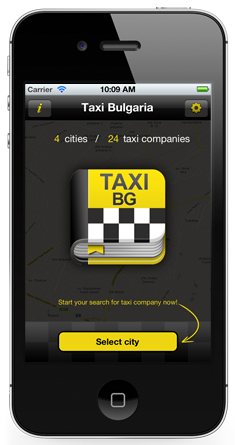 Taxi Bulgaria is available for your iPhone or Android smartphone and you can use it in offline mode when you’re already in Bulgaria. No internet connection is required so you don’t have have to worry about data roaming. The biggest benefit you get using the app is that only approved taxi companies with standard (that means “low cost”) rates are shortlisted. If you catch taxi direct from the street it’s highly possible to get into a fake cab with extremely high rates or without meter right in front of the passenger. And at the end of your voyage you should pay 20-30 EUR fare for a distance which costs no more than 5 EUR. » Visit Taxi Bulgaria landing page for more detailed information and instructions. 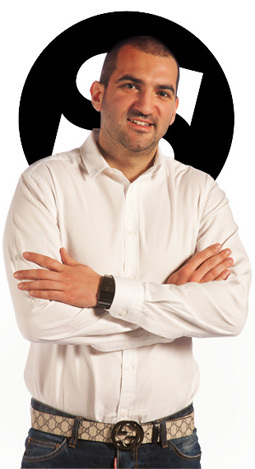 Have a nice stay in Bulgaria and don’t forget to share your taxi experience with me!